I was in the mood for a shifter book when Forest of Thorns and Claws came across my radar. I haven't read many tiger shifter books, and I think this is the first shifter book I've read where the ability to shift is transmitted like a virus, through blood. It's an interesting concept that is common in werewolf movies, but not so much in the shifter novels that I tend to read. Plus, I do love tigers. Their majestic beauty and power are just so enthralling. I desperately wanted to love this book. I didn't love it. I didn't hate it. While I liked the overall story, I found the relationship to insta for my usual tastes. There really wasn't any build up. I can generally forgive that in shifter novels because they often have fated-mates, but Forest of Thorns and Claws didn't have that. The two MC's went from attraction across the room, to forever mates, complete with 'I love you', in a matter of a couple days. But I never really bought it. Donovan and Kersen come from such different worlds. Though Donovan has spent a fair portion of his life in Sumatra, he still is an outsider with a very different background, education, and socio-economic status than Kersen or his clan. And while I would emphatically argue that none of those things are deal-breakers in the least, I just found that everything moved too quickly between them to be believable. Yes, Donovan's specialty is tiger conservation, but would he and Kersen really have much in common? The tiger bond is strong, I suppose. What I did like, though, was the focus on conservation of the species and how human greed is responsible for destroying the habitat that tigers and other jungle animals desperately need to survive. Shrinking habitats mean a shrinking food supply and hungry animals are desperate animals. It's truly heartbreaking. Your mileage may vary, but I'd put Forest of Thorns and Claws in at about 3 stars, overall. 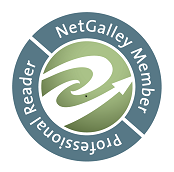 ARC of Forest of Thorns and Claws was generously provided by the publisher, via NetGalley, in exchange for an honest review.